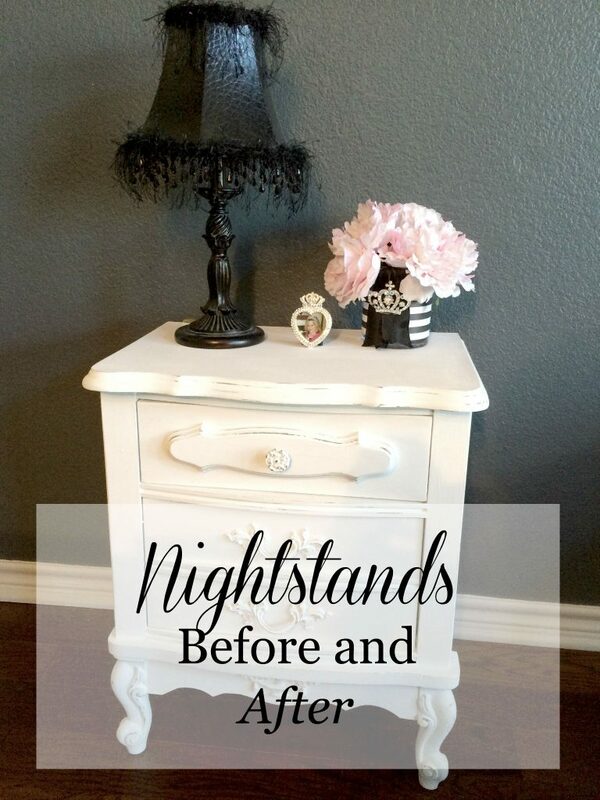 I am so excited to show you the sweet little nightstands before and after! My seester and I were hitting the garage sales when she visited a few weeks ago. 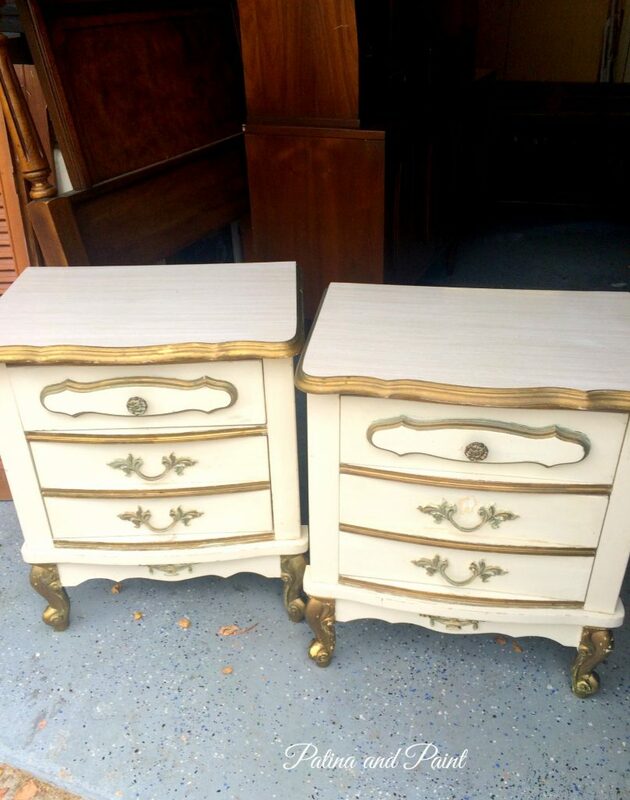 We found the cutest nightstands, but they are really small. I mean REALLY small. I was going to walk away when my seester told me I would be crazy not to buy them. I loved the lines. They were really sturdy. They would look killer awesome in a little girls bedroom after they were redone. So I bought them. I pondered what to do with them. I finally decided to go with a really pretty white that wasn’t too cold or too warm. 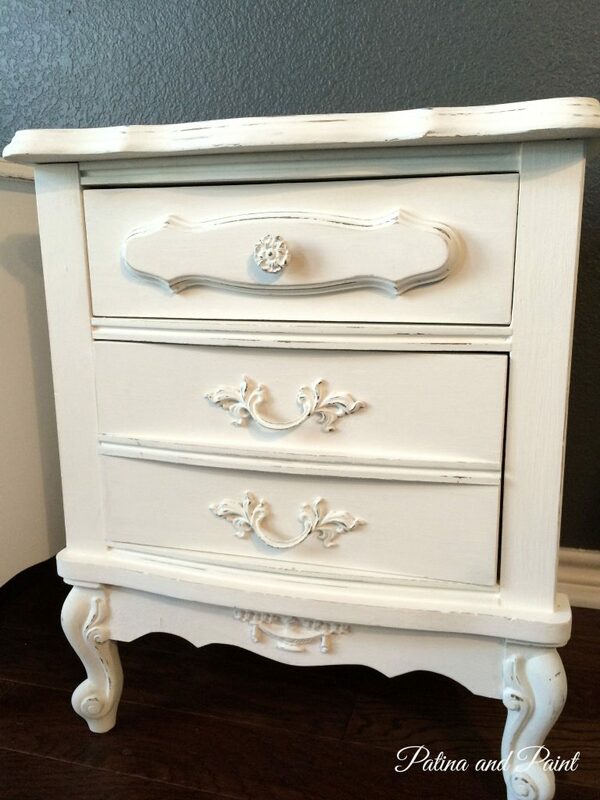 Annie Sloan Pure White. 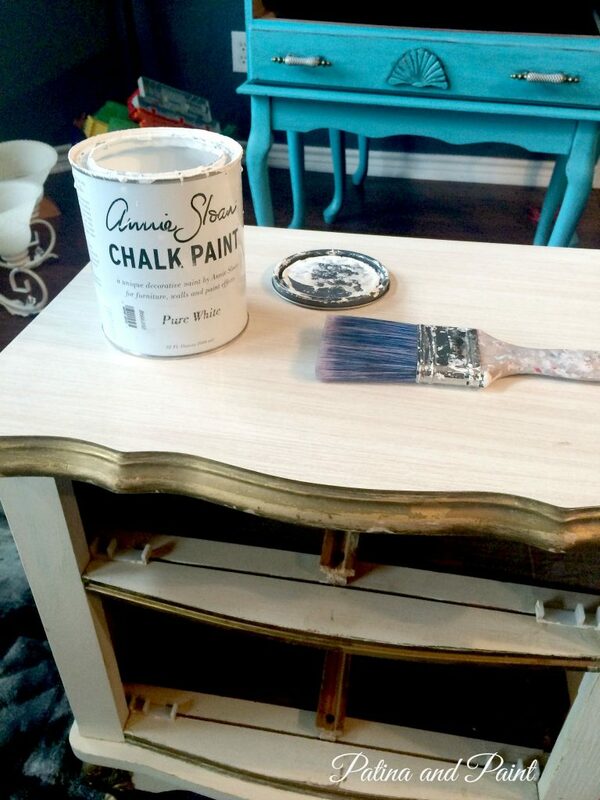 Since the tops were laminate, I gave them a light sanding even though AS Chalk Paint adheres to almost everything. Better safe than sorry! 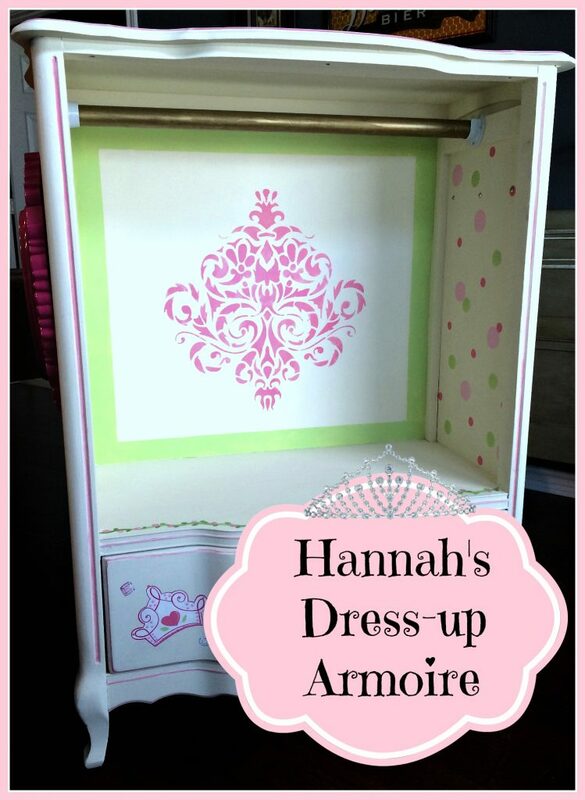 I liked the hardware, which is very unusual for me, so I left it on and painted right over it! Two coats of paint on each stand and they were looking good! 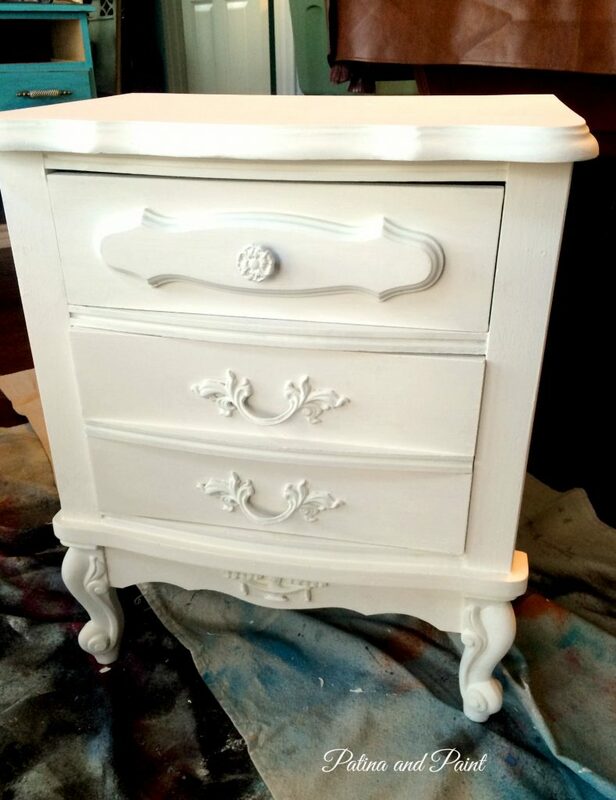 I lightly distressed each nightstand to help all of the detail stand out. So. Darn. Pretty! 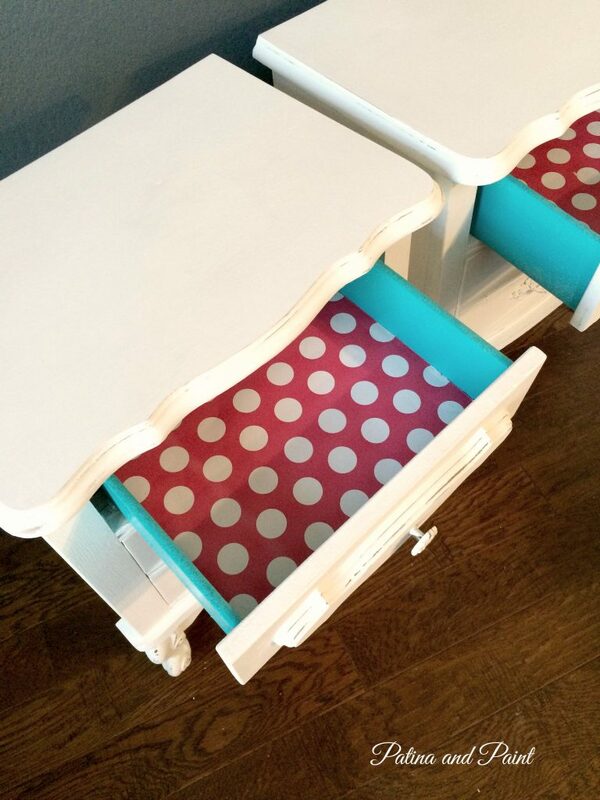 If you follow my blog, you know that I am not gonna leave the drawers plain jane! No way. 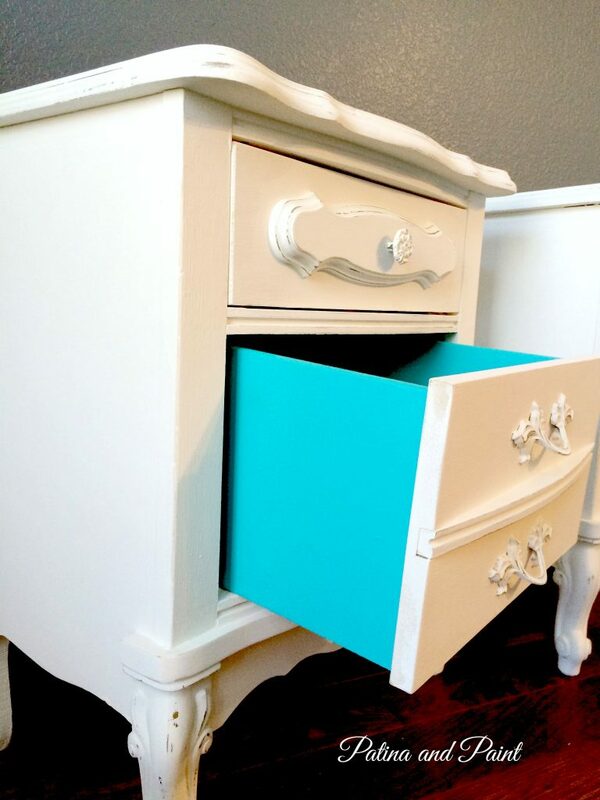 I gave them a couple of coats of Rustoleum turquoise spray paint. The perfect pop of color. On a recent trip to Michaels I found these really cool papers on sale for $2.99 a roll! What a bargain. They had tons of colors, I wish I had bought more. 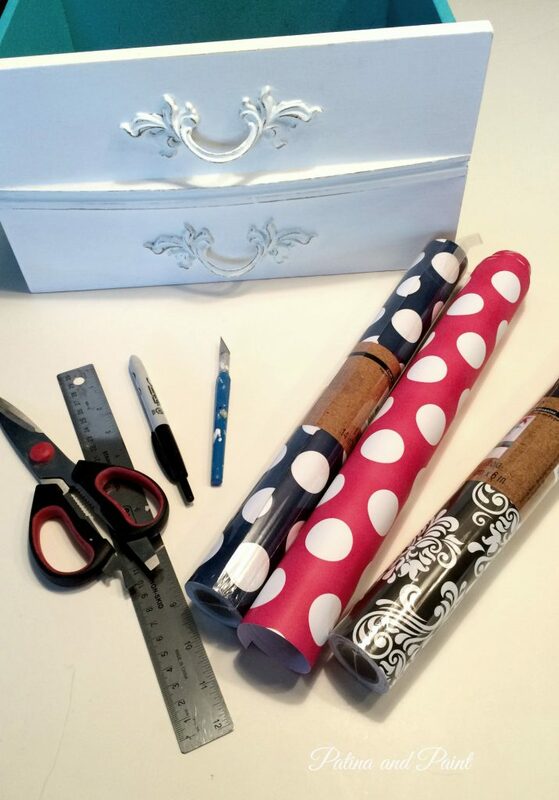 These papers would be perfect for a lot of things, including lining the drawers. See how cute? I have said it before, and I will say it many more times I am sure, I love opening a drawer and finding a fun surprise! Business on the outside and a party goin’ on in the inside! 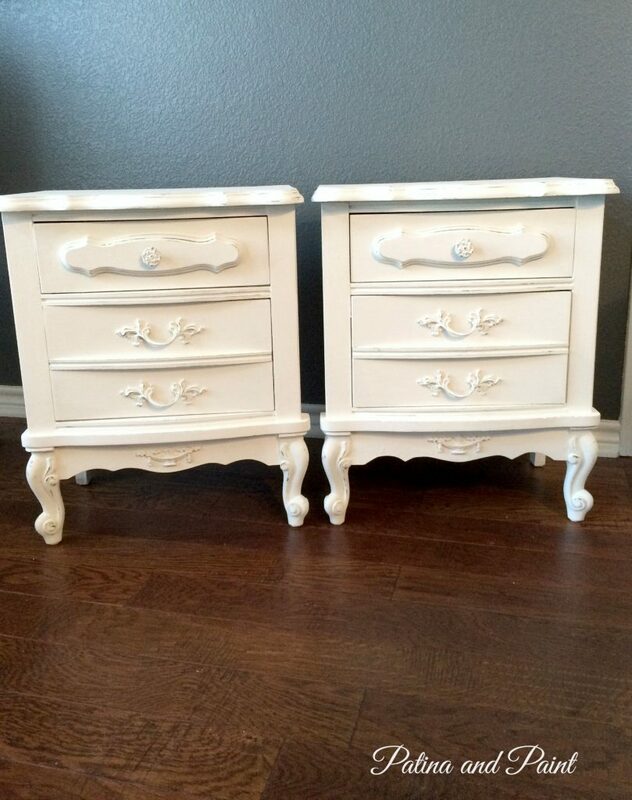 Here you can see the “after” of the two nightstands. So much better, don’t you think? 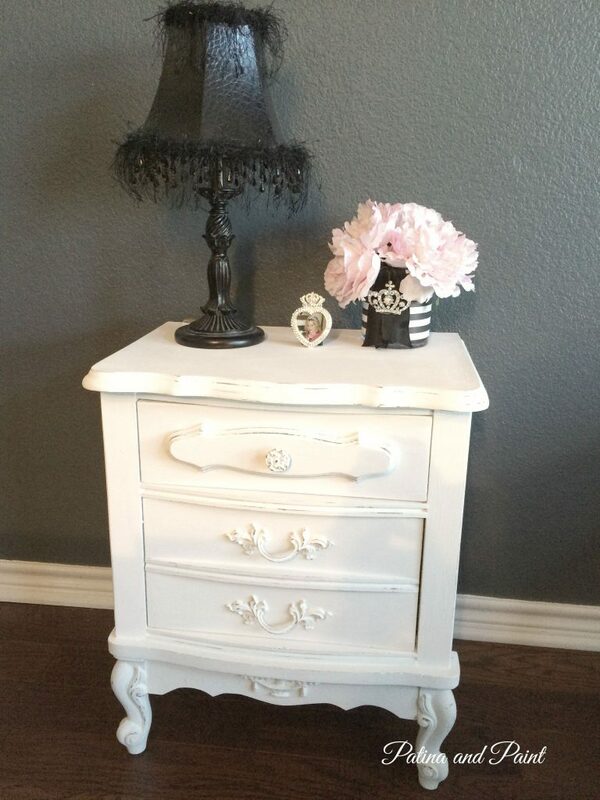 My seester was right, these nightstands redone are killer awesome. I honestly love how they turned out. They are definitely in my top 10 fav’s of all time. 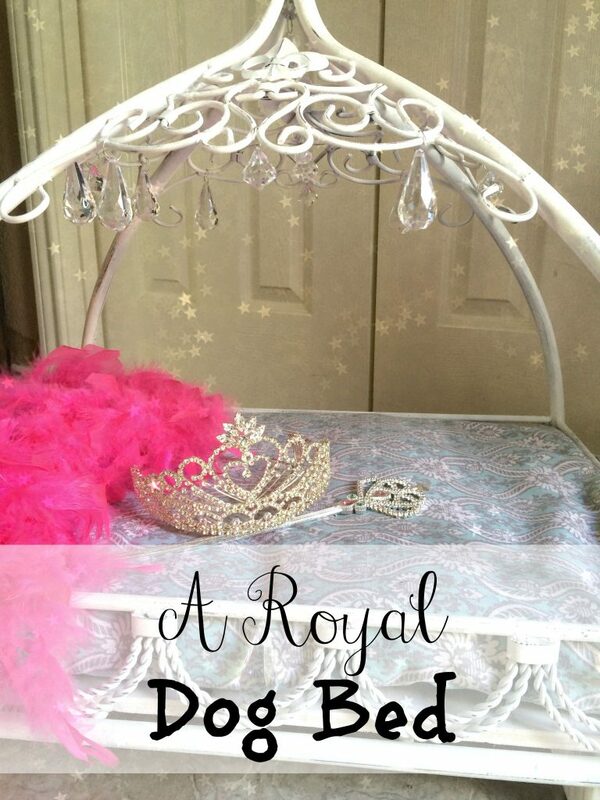 I can’t wait to see them in the perfect little girls room! 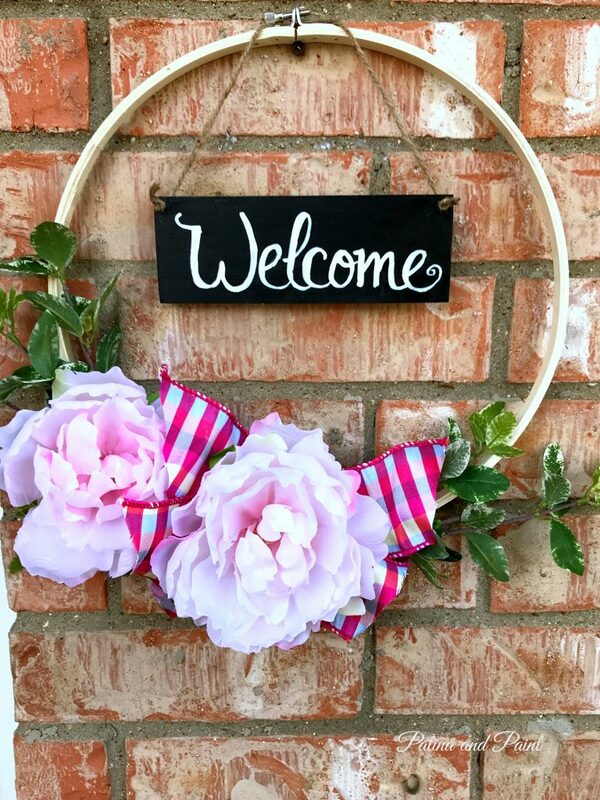 Don’t forget to check them out in my shop before you leave. Like something you saw here today? 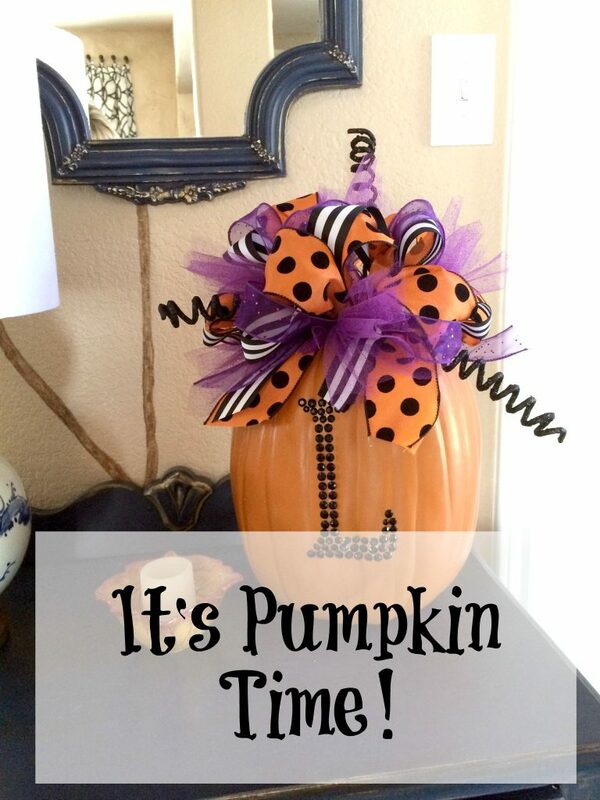 Be sure and pin it on Pinterest!